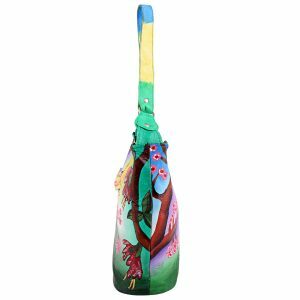 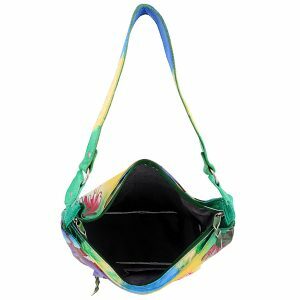 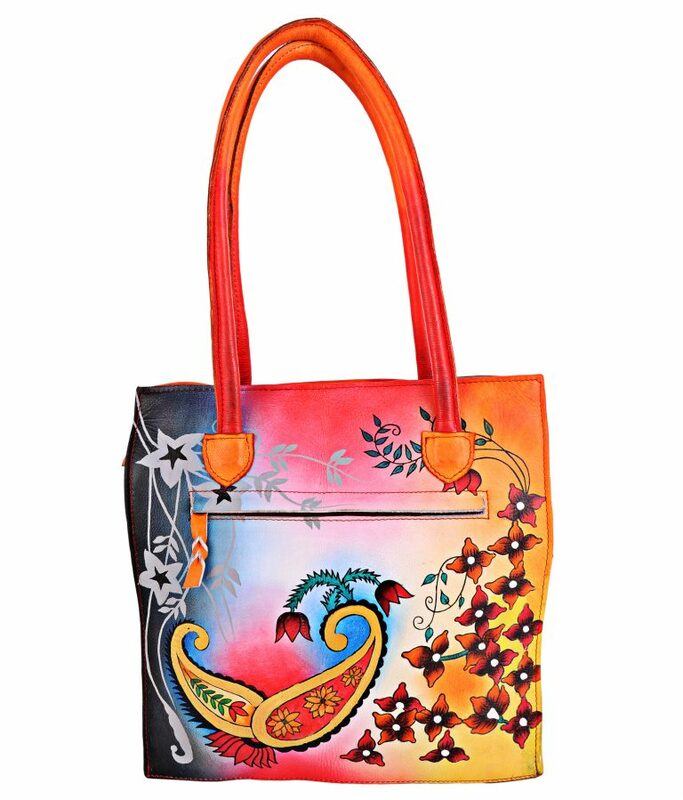 This unique women's bag is hand painted and hand crafted from 100% genuine leather. 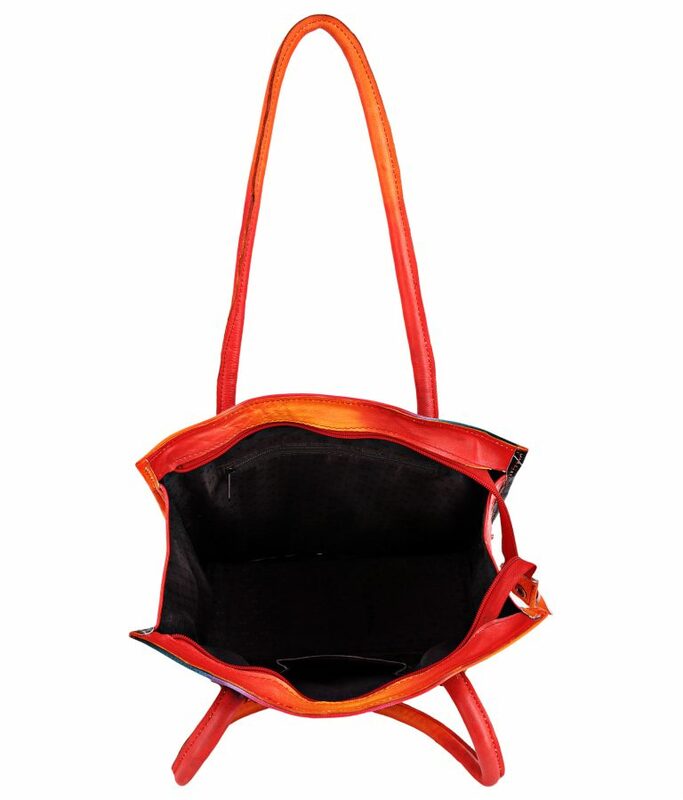 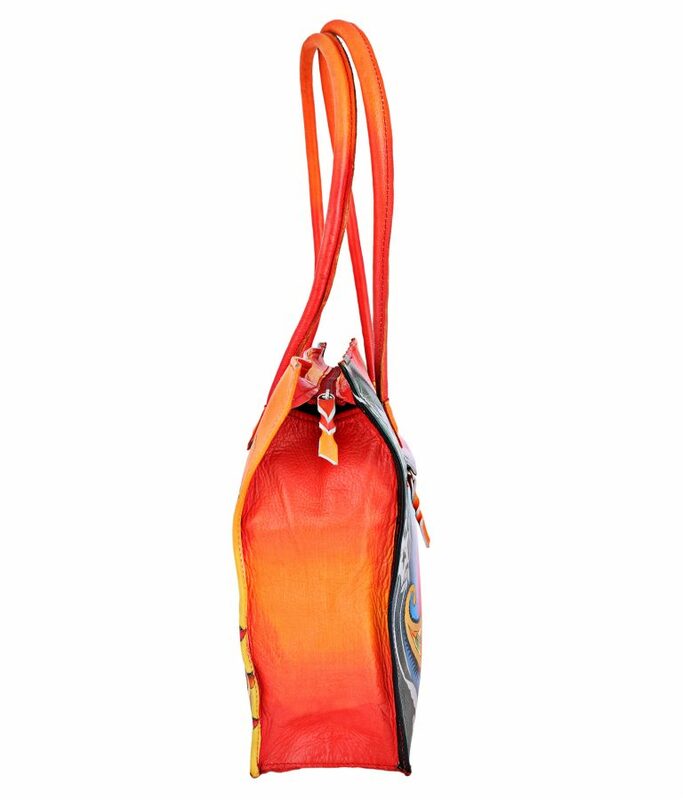 The interiors of the bag have high quality fabric lining. 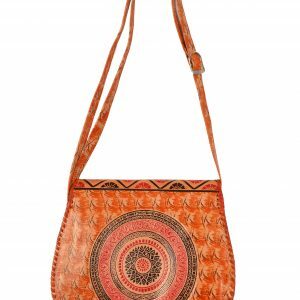 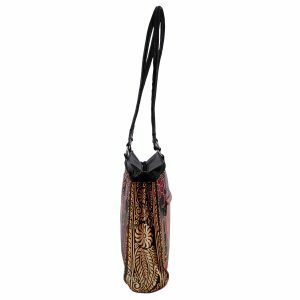 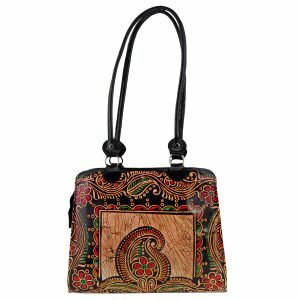 It has a vibrant multi-colored paisley design painted on both sides . 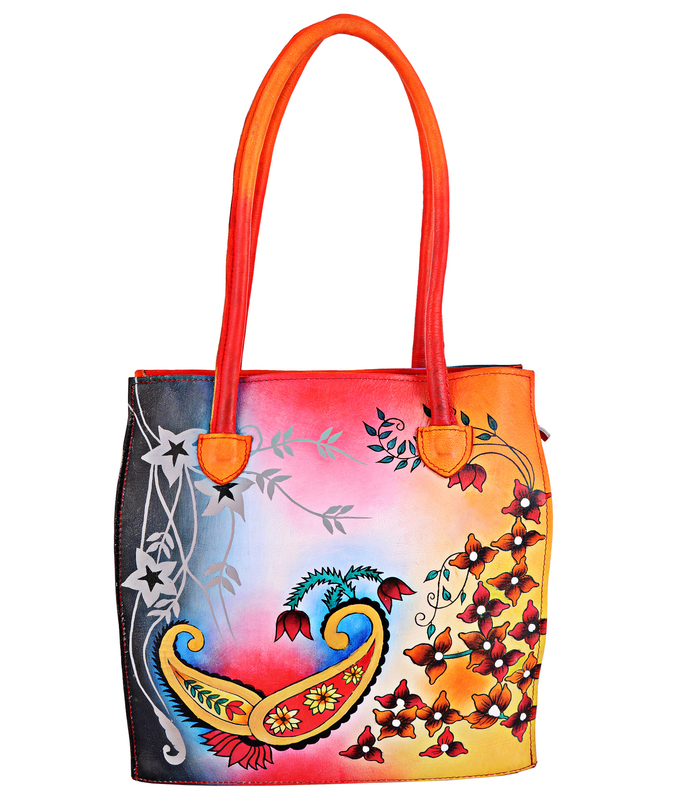 This unique women’s bag is hand painted and hand crafted from 100% genuine leather. 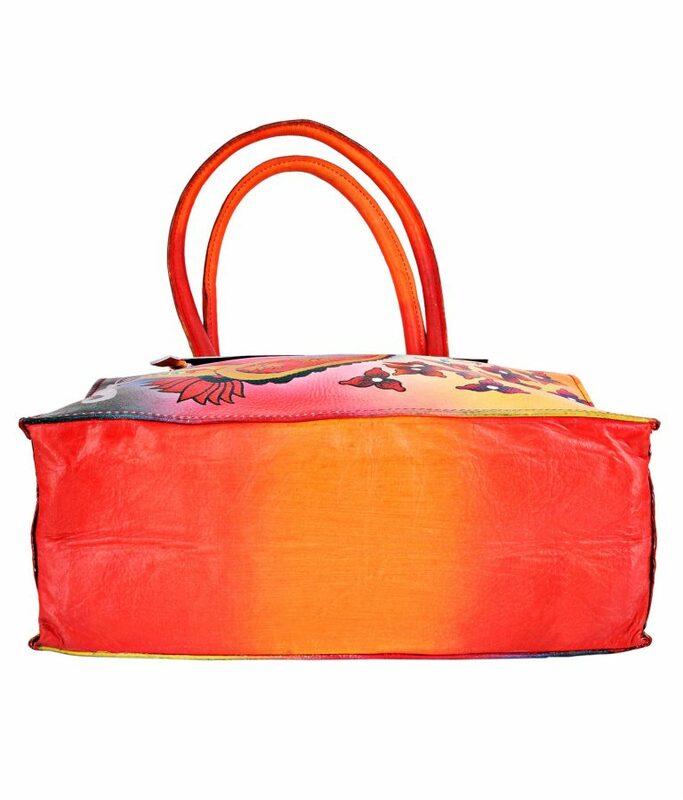 The interiors of the bag have high quality fabric lining. 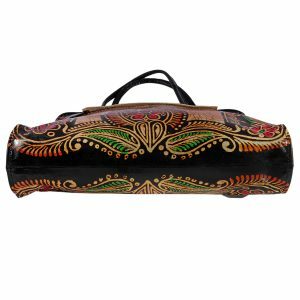 It has a vibrant multi-colored paisley design painted on both sides . 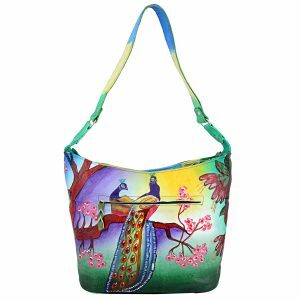 This elegant handmade Women’s Shoulder Bag / Handbag is made from 100% genuine full grain goat leather. 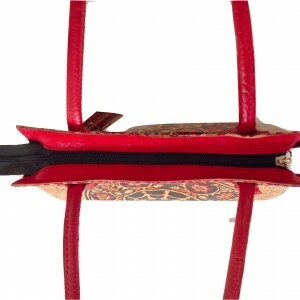 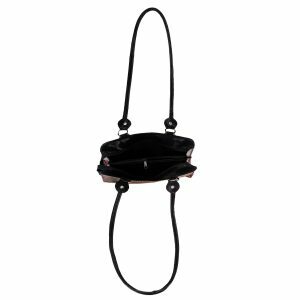 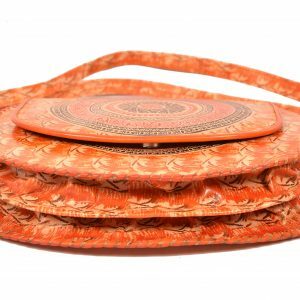 This elegant handmade Women’s Crossbody / Purse is made from 100% genuine full grain goat leather. 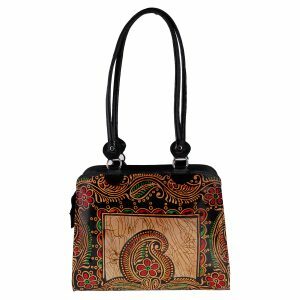 This unique women's bag is hand painted and hand crafted from 100% genuine leather. 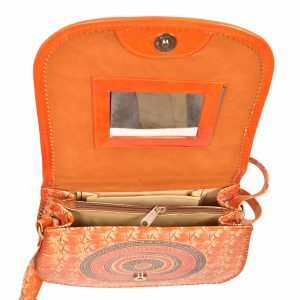 The interiors of the bag have high quality fabric lining. 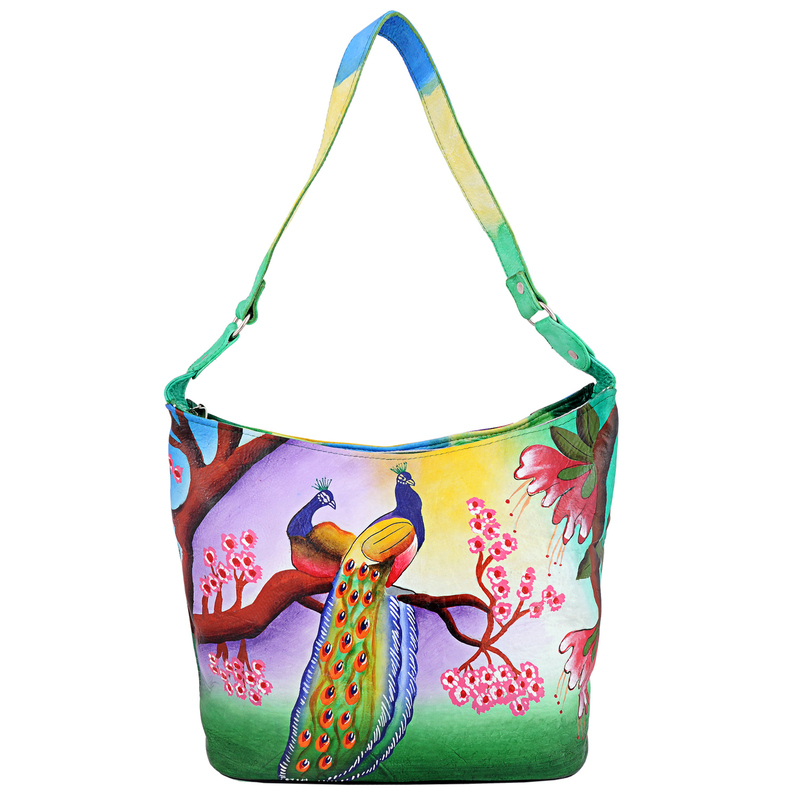 It has a vibrant multi-colored design with a pair of peacocks. 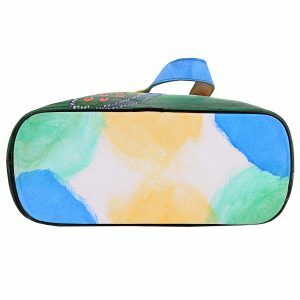 The design is painted on both sides. 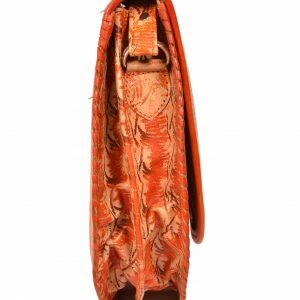 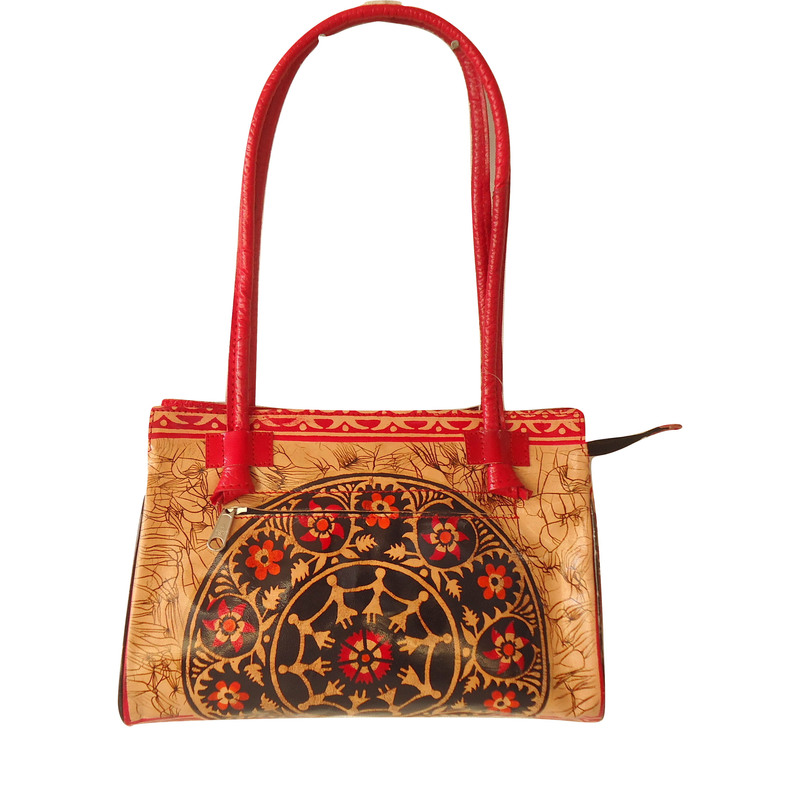 This is a unique handcrafted, hand tooled women's bag made from 100% genuine leather. 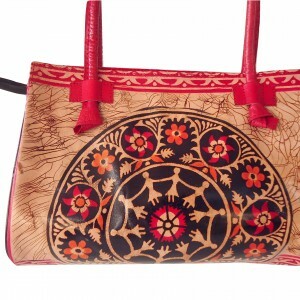 It has a vibrant red batik design on both sides. 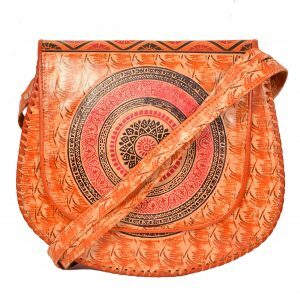 The central design on both sides shows people holding hands in a circle which depicts unity, diversity and harmony.